Your choice of small or medium bouquets. Small Measures approximately 7 to 9 inches tall and 4 to 5 inches wide. Medium Measures approx. 12-14 inches tall and 5 - 6 inches wide. 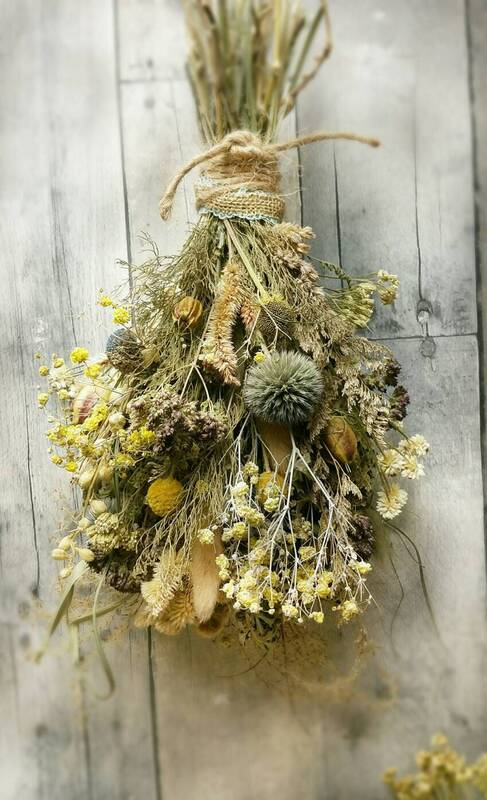 Stems wrapped in jute with burlap and coordinating lace accent ribbon and has jute loop in back for hanging.